Home > Smart Drugs > How to Make Nootropics More Effective? How to Make Nootropics More Effective? Nootropics are medicines used by lots of people, but their effectiveness is not always high enough. There are several ways to increase the efficacy of these drugs without increasing the dosage. How can you do this? You will find out by reading the article below. What Is the Best Time to Take Nootropics? Where to Buy the Best Nootropics? Nootropics are the group of medicines that were created in order to exert influence on human mental functions. These drugs are used to activate and improve brain work and stimulate mental activity. They provide a beneficial effect on memory and help people to memorize information right away without spending a lot of time on it. 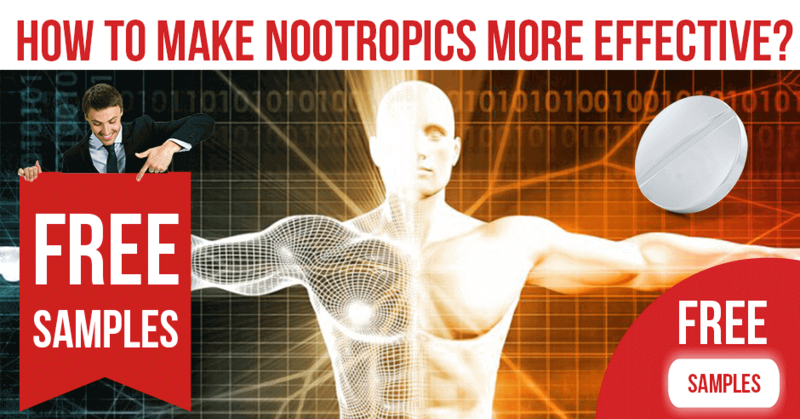 Nootropics also help to protect the brain from harmful effects during hypoxia or excessive stress. Despite the fact that these drugs should be prescribed by a doctor for medicinal purposes, sometimes they can be used to enhance the mental activity of healthy people. They are often used by people who have random schedules, by students before exams, etc. However, like any other medicine, nootropics should be taken correctly so that they provide the maximum effect. Let’s find out when these medicines work better. The effectiveness of any drug depends on several factors and, above all, on the correct dosage. If you are taking modafinil that is prescribed by doctor, then use the exact dosage that he recommended to you. If you have chosen this drug by yourself, then start with a dosage of 100 mg. In cases of 100 mg of modafinil not working the dose can be increased. You can do this if there are no side effects and the state of health has not worsened since treatment start. Do not rely on the advice of people who are using modafinil, as people have different needs and tolerability. For one person, 100 mg might be enough and someone else might need a dosage of 300 mg. 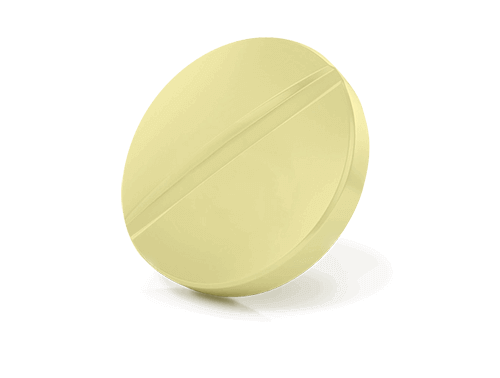 The average dose of modafinil is 200 mg, and it is suitable for the vast majority of people and it is well-tolerated. 200 mg is enough to make a person feel vigorous during the whole day. In order for modafinil to maintain its effect during the day without recessions, there is one small trick – the dosage needs to be divided in half. You should take half of the usual dose in the morning, and after five-seven hours take the second half. This will allow you to stay cheerful and keep concentration for a long time without the need to increase the amount of the drug. So, if your standard dosage is 200 mg, then you can buy 100 mg tablets and use them two times. This method is suitable for those people whose working day is more than eight hours. Also, this will be good in cases of urgent overtime work, preparation for an exam, and in other cases when it is necessary to keep concentration for a long time. The action of modafinil persists for 15 hours or slightly less, so if you need an effect throughout the day, you should use a nootropic immediately after waking up. If you forget to take a pill in the morning and plan to sleep at night, then skip this day as there may be problems with falling asleep. The duration of the drug does not depend on the dosage you have chosen, and it affects solely the power of the effect. If you wake up and immediately take the drug, then within an hour you will be able to notice the effect. The nootropic will completely stop its action after 15 hours, after which you can easily fall asleep without problems. If you need activity at night, then the optimal time for taking modafinil needs to be determined according to the same scheme. If you have a habit to falling asleep at the same time each day, be prepared for the fact that your sleep schedule may have little changes. Despite the timely use of the drug, the period of wakefulness may be dragged out. It depends on individual tolerability, reaction of the nervous system to the drug, and metabolic rate. How do you solve this problem? Try to avoid intake of the medicine less than ten hours before falling asleep, and do not use the drug when you need to sleep and bedtime is limited. Usually, after the first pill, people can evaluate the effect of modafinil on the body and set the best time to take it. Modafinil has the ability to suppress appetite, so be prepared for the absence of hunger. Despite this, try not to miss your usual meals. Eat at the same time and as usual, even if you do not want this. Good nutrition will minimize the risk of side effects from modafinil. Remember that the brain, when taking medicine, works especially hard, and needs a lot of calories. For this reason, you should not combine this medicine with a low-calorie diet for weight loss. To avoid nausea and a complete loss of appetite, try not to smoke while the drug works. If this is difficult for you, at least reduce the number of smoked cigarettes to a minimum. Modafinil is a water-soluble nootropic, so it begins to act more quickly when used on an empty stomach. When taking modafinil, there can be an absence not only of hunger, but also of thirst. As a result, a person can forget to drink water or other liquids, and this may worsen his state of health, with an increased likelihood of side effects. If after taking a pill, you do not drink liquid, after 3-4 hours you will feel dryness in the mouth, and possibly light dizziness. Over time, the condition may worsen. The brain is an organ that consists of 70-80% water, so even mild dehydration significantly inhibits its functioning. So, how to make modafinil more effective and safe? To do this, you need to drink plenty of water during the day. In the absence of thirst, it is easy to forget about it, so put a bottle or a glass of water in a prominent place. Drink at least a few sips every time you look at the glass. Also, add one or two extra glasses of water to your daily intake. This will allow you to avoid dehydration and make modafinil more efficient. It will be very good if you enter into your diet products rich in liquids and vitamins – fruits, vegetables, or berries. This will provide a positive impact not only on your mental activity, but on your whole health state, too. Alcohol relaxes the nervous system and disinhibits certain parts of the brain. This leads to the fact that a person feels free, and his control over himself, concentration, and restraint are reduced. In this state, it is hard to perform mental work and remember information. The higher the amount of ethyl alcohol, the more pronounced will be the above mentioned effects. Modafinil produces the opposite effect, so it is not compatible with alcohol. In addition, with the simultaneous use of nootropics and alcohol, the likelihood of side effects increases significantly. Do not drink alcoholic beverages while modafinil acts if you want the maximum effect of the drug. Each nootropic has its own properties and features, but, as mentioned above, much depends on the person’s individual portability. 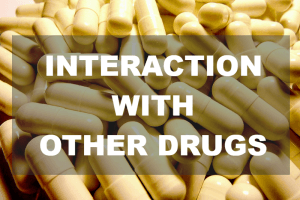 Different people can take the same drug, but the results and effectiveness may vary significantly. To determine which medicine suits you best and the best way to take it, you can diarize. whether there were problems with falling asleep. This observation will help to determine the correct dosage, choose the best time for pill intake, and identify errors that should not be repeated anymore. If necessary, show the diary to your doctor – this will help him to make the right decision and correct the dosage. Nootropics are medicines, the effectiveness of which depends on the time when a person takes them. There are means that give the best result in a week or two due to habituation. There are also those the effectiveness of which decreases after a while. This reaction is individual. The first option is optimal, and the second one should be reviewed in more detail. For example, a person takes armodafinil, modafinil (for example Provigil), or another nootropic. In the first days, the result pleases him, but after a few weeks the medicine starts to act less, and a month later its effect is practically not felt. This happens because the nerve receptors have adapted to the drug and have stopped responding to it. What should you do in this case? Doctors recommend stopping the drug for a while, so that the body has rest from it. After such a break, you can start using it again, and it will act as before. A lot of modern people lead an active lifestyle and regularly engage in sports. 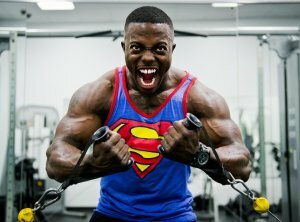 Is it necessary to stop training while taking nootropics? About this, the opinions of experts are divided. Let’s look at each of them. Sport enhances the effect of drugs. Everyone knows that physical exertion makes the body stronger, healthier, and more enduring. It also triggers many chemical reactions in the body that improve brain function and mood. Good blood circulation in the brain is a guarantee of its full-fledged work. For this reason, the combination of drugs with physical activity can significantly increase their effectiveness. It’s not just about training in the gym, but also just ordinary walks. It is enough just to walk fast for half an hour, to make the medicine’s effect much better. Nootropics are not recommended for use on training days. Sport improves the work of the brain, but the drugs do this much better. The use of drugs on days of physical activity can lead to pain in the muscles and joints, and such sensations will distract a person from mental work. Therefore, it is not recommended combining nootropics with intensive training. Which of the two opinions is correct? It all depends on the individual characteristics of the person. It makes sense to try to combine nootropics with training, take a break, and then evaluate the result. You will quickly understand which option is right for you. Modafinil and other nootropics are called “smart” drugs not for nothing – they strengthen mental processes exactly when it is necessary. For this reason, it is very important to start work from the moment of the medicine action begins. Some people, after intake of a pill, start to do things that are not related to work – go to social networks, read articles, watch photos, etc. The action of the drug begins precisely during such actions, and the body is tuned to them. They noted that it is hard to switch on working process, as if they did not use a pill at all. Do not make such a mistake. If you have taken the medicine, then start working immediately or no later than one to three hours after this, without wasting time on unnecessary things. In that way, with the help of modafinil, you will use your brain resources at 100%. How to make Nuvigil more effective? Make a detailed daily routine on the eve of pill intake. Try to fill the schedule with your actions as much as possible. It is very important to do all the actions on time, taking into account even break times and strictly following your plan. This will allow you not to waste time thinking about things, not to miss important information and avoid the occasional waste of time. This tip is connected to the previous one. If you have a clear work plan, you will not waste time on social networks, viewing photos and other things that will relax your nervous system. 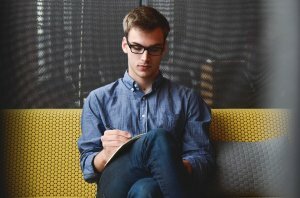 At work, keep the plan list near you and cross out the actions that you have already done. Let your brain run at full power as long as you are taking the medicine. This applies not only to Nuvigil, but to all other nootropics. This is an addition to the two previous tips. A casual waste of working time can cross out the action of any nootropics. People do not notice how they kill valuable time with unnecessary things, and then they have no time for work. As a result, they do not keep pace with their work plan. To prevent this, do not make any deviations from the planned schedule while taking the medicine. Some people are confident that they can spend a strictly measured amount of time on personal things, but in practice, this is very difficult. Therefore, hide your phone during work or turn it off so that there is no temptation to use it. You can check calls and messages during your lunch break. 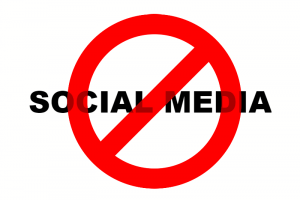 If you work on the computer, you should block all social networks and those websites that you visit just for fun. This will also help to get rid of the temptation to go there every five minutes. When just going to a social network for an anticipated five minutes, you often end up spending an hour or even more instead. Some experts believe that caffeine can be attributed to nootropics, as it helps to cheer people up, improve brain function, and increase concentration. Caffeine is even banned in NASA as a substance that excessively increases nervous excitement. Coffee in the morning or at lunchtime has become some kind of ritual for some people. So why not to combine the invigorating effect of this fragrant drink with nootropics? You can combine “smart” tablets and a favorite drink in the morning – this will bring an excellent result. However, coffee, as well as nootropics, is recommended to be drunk only in the morning in order to avoid problems falling asleep at night. Naturally, we are talking about brewed coffee, and not the instant kind. Note that along with the medication it is better to drink no more than a cup of coffee in the morning, but also do not use this drink during the day in order to avoid overexciting the nervous system. Women who take steroid oral contraceptives need to use additional contraception, since the effect of tablets can be reduced. stop CNS (central nervous system) exciting actions before going to bed – turn off the computer and TV, do not argue with anyone, etc. However, there are dozens of people who can easily fall asleep even with modafinil. Nootropics are medicines that can solve many problems, but only if they are used correctly. You want to use these drugs, but do not know where to buy them without the risk of purchasing fakes? Visit the ModafinilXL pharmacy – you will find high-quality medicines at the best price. Your goods can be delivered to any city in the USA in the shortest possible time. Regular customers receive a coupon for $25 off the next purchase and 20 free pills, and those who pay for goods with bitcoins will get a 35% discount.